The premier volume in an exciting new series of guides to the core beliefs of the Christian faith, The Trinity provides beginning theology readers with a basic knowledge of the doctrine of God's triune nature. Concise, nontechnical, and up-to-date, the book offers a detailed historical and theological description of the doctrine of the Trinity, tracing its development from the first days of Christianity through the medieval and Reformation eras and into the modern age. Special attention is given to early church controversies and church fathers who helped carve out the doctrine of the triune God as well as to its twentieth-century renaissance. The second half of the book contains a detailed, annotated bibliography of all major books written about the Trinity. 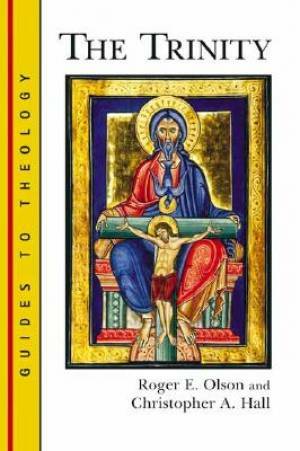 The Trinity by Roger Olson was published by Eerdmans Publishing Company in May 2002 and is our 29885th best seller. The ISBN for The Trinity is 9780802848277. Be the first to review The Trinity! Got a question? No problem! Just click here to ask us about The Trinity.